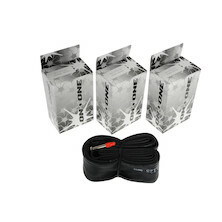 Here at On-One we know all too well that choice of tyres and tubes will make more of an immediate difference to both your bike's performance and your riding enjoyment than any other similarly affordable consumable product. Changing tyres can change everything, and choosing the right width, compound and tread pattern is key to building a truly capable machine. 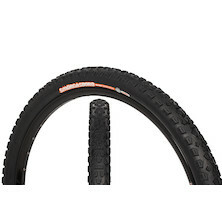 Whether you opt for a tubeless UST system on your mountain bike, race-ready tubular tyre on your cyclocross race bike or a good old fashioned inner tube and tyre combo on your commuting workhorse you can rest safe in the knowledge that the On-One range of folding and wired tyres and inner tubes offers the world's best products at the world's best prices. Checkerboard tread, grippy rubber compound and a 33.333333mm diameter on a 700c carcass add up to a whole lot of easy rolling fun. 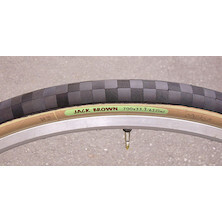 The Jack Brown is a favourite with mixed use cyclist who wants the fast rolling of a road tyre and the protection of an off road unit. 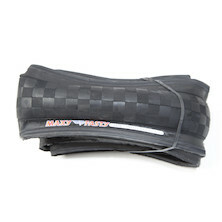 Checkerboard tread, grippy rubber compound and a 33.3mm diameter on a 700c carcass add up to a whole lot of easy rolling fun. 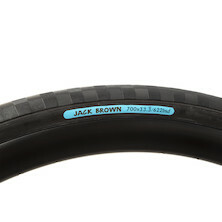 The Jack Brown Green is a favourite with mixed use cyclists who wants the fast rolling performnce of a road tyre. 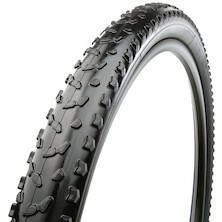 650b in a 33mm carcass featuring Rivendell's first rate construction and legendary tread pattern. 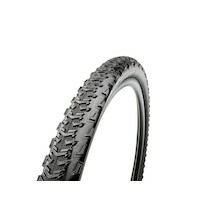 This is one very light and fast 650b road and trail tyre. 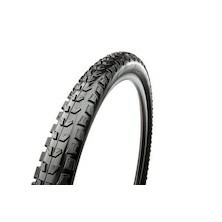 34c version of Rivendells Nifty Swifty tyre, it's their budget priced performer and packed with quality. 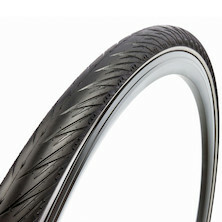 Originally designed by Rivendell bikes these are now produced exclusively for us by Panaracer in Japan. 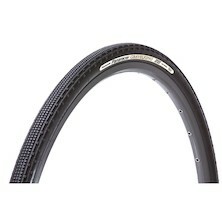 Rivendell's Rolly Poly tyre is our favourite 28mm tyre, it's not as light as a dedicated road clincher but it's offroad tough and seriously capable. 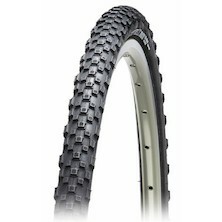 In a world of lightweight wannabees the Rolly Poly sets the standard for heavy duty commuter and Gravel Adventure slicks. Epic 28mm checkerboard semi-slick originallty from Rivendell Bikes, now produced exclusively for us by Panaracer in Japan. 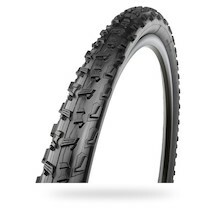 Not a lightweight, but a high volume tyre with a crazy inverted tread that looks and handles like no other tyre out there. 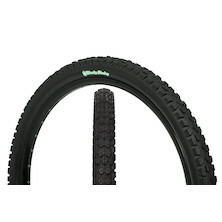 perfect for any 650b bike that can squeeze in 41mm tyre. It's not puncture proof- it's BULLET PROOF. 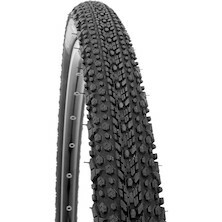 A lightweight, high volume tyre with a crazy inverted tread that looks and handles like no other tyre out there. 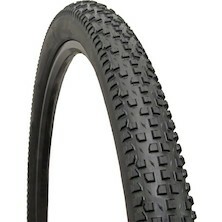 perfect for any 650b bike that can squeeze in 41mm tyre. 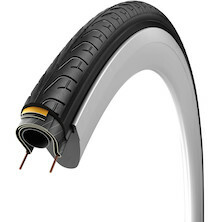 A heavy duty city/trkking tyre from Continental featuring their impressive Polybreaker puncture protection system. 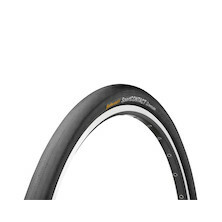 The tyre of choice for couriers and high speed commuters due to its SafetySystem Puncture Protection, lightweight nylon fabric and reinforcing Kevlar for excellent resistance against punctures and cuts. 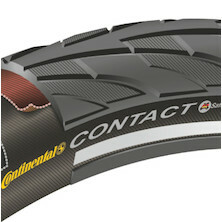 Conti's Sport Contact 2 is the perfect tyre to turn your MTB into a city slicker. 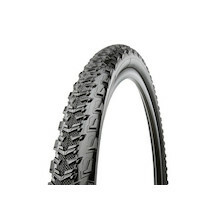 Available in multiple tyre sizes it's designed for maximum cornering traction and minimum rolling resistance. High volume commuter and fast touring favourite loved by riders who use their bikes 365 days a year. The Voyager Hyper Folding delivers all of Vittoria's skinny tyre expertise in a large carcass design. High volume commuter and fast touring favourite loved by riders who use their bikes 365 days a year. 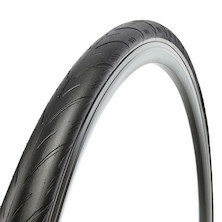 The Voyager delivers all of Vittoria's skinny tyre expertise in a large carcass design. 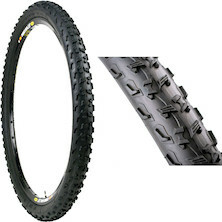 E-bikes need their own specific tyres, they have higher drive, need to support more weight and of copurse you wnat them to be as free rolling and as puncture resistant as possible. 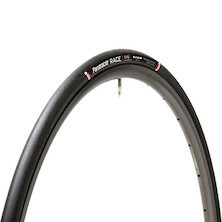 Enter the E-Rando from Vittoria. 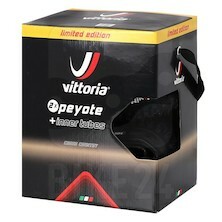 Ground breaking all conditions tyre from Vittoria featuring their exclusive Graphene fortified rubber compound. 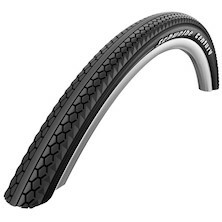 Super grip, low rolling resistance and incredible durability. 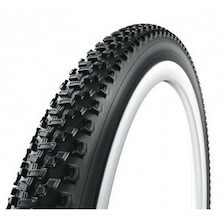 A perfect quality handmade city and trekking tire with additional puncture protection. 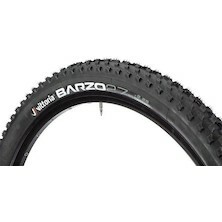 The Barro Marathon is a cutting-edge multi-purpose tyre with an aggressive, moderately spaced pattern that handles the toughest terrains without increasing rolling resistance. 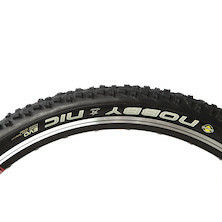 Tubeless ready version of the Multi-purpose Geax Baro tyre with an aggressive, moderately-spaced pattern. Plateau-like, rounded knobs readily shed dirt and debris. 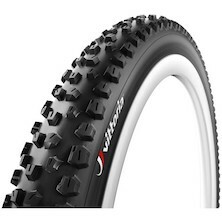 2.3 section has softer rubber compounds for enhanced grip on wet rocks and roots. 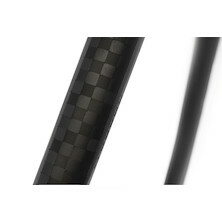 For park use, the bead-to-bead tread of the Tattoo assures grip and protection at any angle, over any obstacle. Large 2.3 volume. 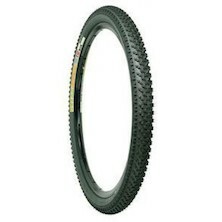 The tire of choice for street/jump, and even beach racing! 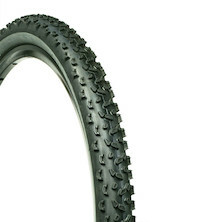 Lightweight tyre for fat bike riders. 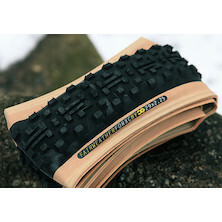 The Mission offers fantastic traction in a wide variety of conditions. The Warden saves you when youre on the ragged edge of control, barreling down the slickest, mud-infested downhill demise while risking life and limb. 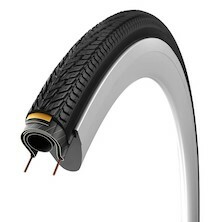 This tire wins when you cant see through the windshield. 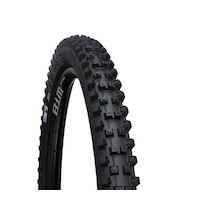 Lightweight, intermediate conditions cross country MTB tyre. LXV is the code of the Leadville Colorado airport, home of the legenmdary Leadville 100 MTB race. 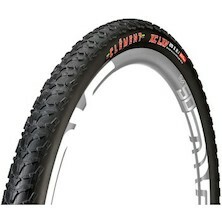 A close patterned, very fast rolling XC MTB tyre that digs down deep into dry and hard surfaces to give you maximum grip. 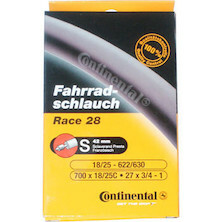 A firm favourite on the race circuit and with our faster riding customers and staff. 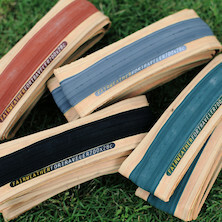 French cycling legend Cederic Gracia has designed the CX by CG tyre for Fairweather. 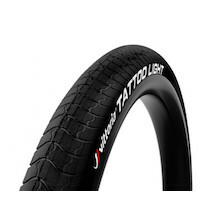 Handmade in Japan by Panaracer this lightweight tyre will cut through the slop to find traction and offers maximum grip due to its ZSG rubber compound. Built using specific compounds and casings, it will carry speed through technical sections whether wet or dry, making it an extraordinary all-rounder weapon for XC racing. 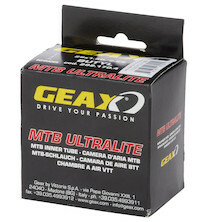 Want to end every ride with a smile undeniably plastered to your mug? Slap on a set of Breakouts, fun comes in size large. Big, all-mountain fun. 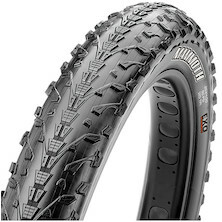 The Mountain King meets the demands of modern enduro & trail riders. 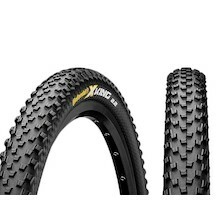 The generous volume allows the King to roll swiftly and provides loads of traction and direct steering response .In fast corners the outer lugs are ramped to provide support in even the most adverse conditions. 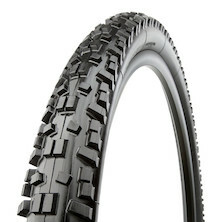 The Mountain King SL is a lightweight version of Continentals best selling trail tyre. 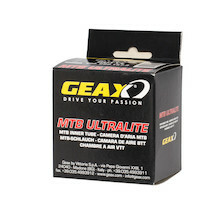 Itll hook you up in wet or dry conditions and is a firm favourite with riders who ride in all conditions and want a lightweight choice that wont hold them back. 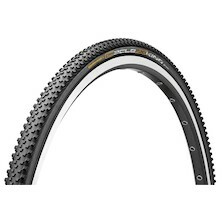 The Continental Race King 27.5" is light, fast and built for race day. 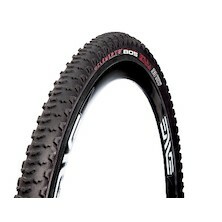 Equally at home in loam and on hardpack it's one of the most popular XC race tyres going. 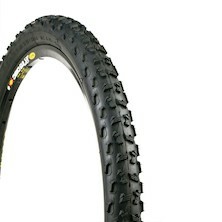 SL version of Continental's Trail king tyre in 27.5". 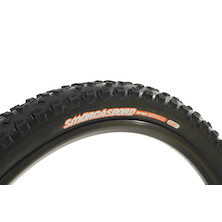 Smaller tread blocks and a fast clearing action make this a great trail focused tyre for riders who ride light. 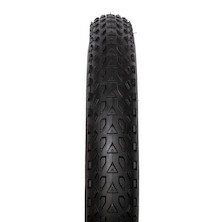 Weight: 830g 2.2", 930g 2.4"
Do-it-all tire and tubular with fast-rolling center tread and medium side knobs for all-surfaces security. A great balance of versatility and performance. Rolls fast and bites hard. 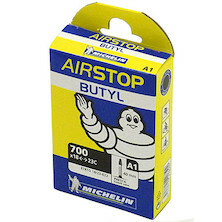 Michelin are spreading their wings and moving baxck into the off-road tyre market. 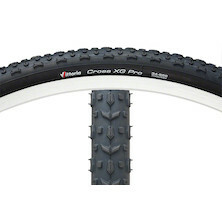 they've built some of the best CX tyres ever and now they're showing their stuff with a new range of gravel adventure tyres. Panaracer's Cinder Cross is a close block tread pattern that's tight enough to be super fast rolling on cinder and hardpack but still with enough space between the blocks to hook up in the loam. 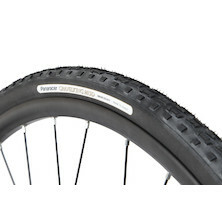 Panaracer's new Gravelking folding tyres are our new favourite endurance tyre. 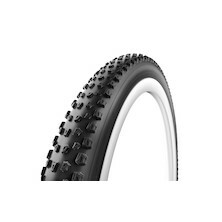 Perfect for sportives, touring and even cyclocross (SK version) these ultra durable, low rolling resistance tyres have really turned our heads. 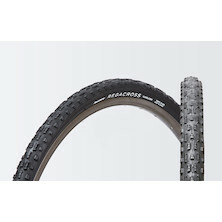 Panaracer's GravelKing Mud tyres come in two width's, 33 and 35mm with different tread spacings. These are the perfect tyre for the Gravel rider who knows they'll encounter some mud on their trip. 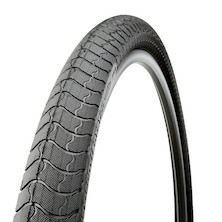 Panaracer's new Gravelking SK folding tyres are our new favourite endurance tyre. 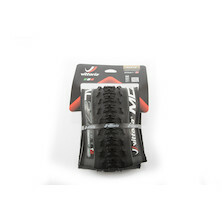 Perfect for gravel, touring and even cyclocross these ultra durable, low rolling resistance tyres have really turned our heads. 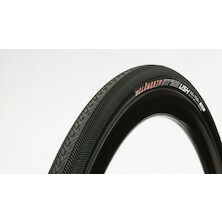 Higher volume cyclocross tyre for none UCI events. With fast rolling angled centreblocks the Regacross works well in all but the deepest mud. 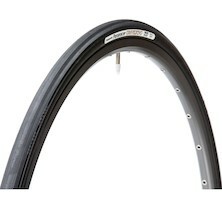 28mm or 32mm tyre from Fairweather. 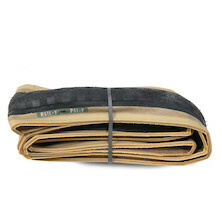 Fast rolling and durable with a herringbone pattern that helps to clear water for more grip. 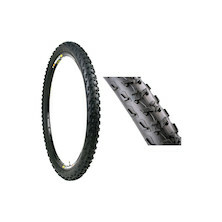 The BOS is designed to perform in the most adverse conditions, with an aggressive tractor style tread to provide optimal traction when things get muddy. 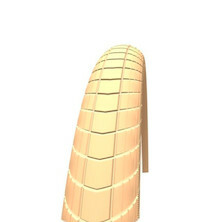 Aggressive center tread for traction, with buttressed side knobs for excellent cornering. 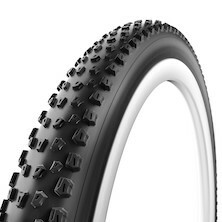 The Clement MXP is our newest cyclocross tire featuring an intermediate tread pattern to create an excellent all-conditions tire. 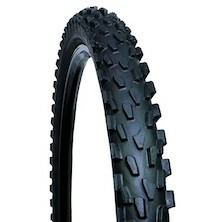 Available in 650b size which makes it a bit of a rarity and perfect for skinny tyres rumbles on your MTB. 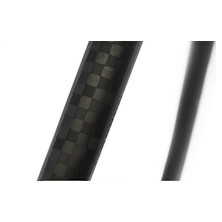 The Clement Strada LGG Folding Road Tyre takes inspiration from the legendary "Clement Criterium Seta" with its traditional chevron pattern. 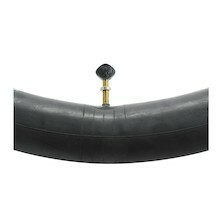 The Strada LGG will transform your bike with its outstanding grip in the wet or dry conditions. When speed is a top priority but the road is unpredictable,the 700c Strada USH stands out as a light and fast tire that can handle it no matter what the road is made of. 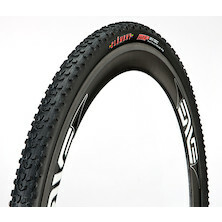 Aggressively treaded cyclocross tyre that won't brake the bank but will help you power up any mudy incline. 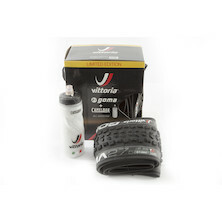 Ground breaking all conditions tyre from Vittoria with a deep rubber centre section that has been cut like a performance sports car tyre the Revolution performs in the wet and dry. 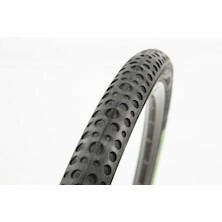 Grippy, fast rolling CX tyre with an excellent self-cleaning tread pattern that will never bog up with mud. 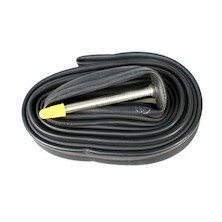 PRB 2.0 puncture resistant belting. 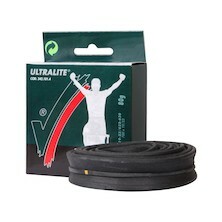 Great city tyre presenting fast rolling puncture protection and good grip. 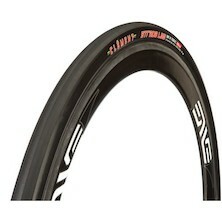 28mm width offers plenty of cushion for less than ideal road surfaces, the 40mm is even better! 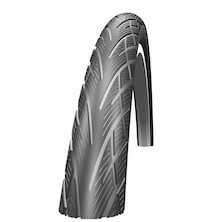 Folding bead version of Panaracer's Evo3 Race A tyre with ZSG rubber compound, ProTite puncture protection and seriously low weight. 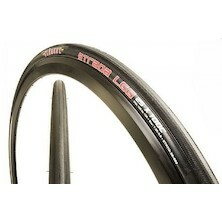 All weather race oriented tyre with great wet grip and solid puncture protection. 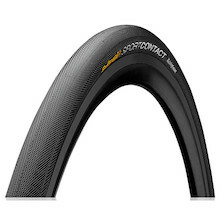 Add in a folding bead and tubeless compatibility and this might just quickly become your favourite new road tyre. 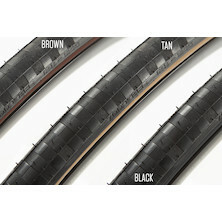 Zaffiro recognized everywhere as the training tyre for the serious rider. Rugged construction shrugs off flats, keeps on gripping in all conditions, sustains big mileages with no worries. conditions. 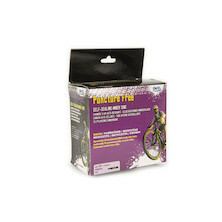 The perfect solution to puncture free rides. 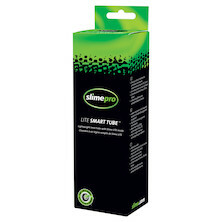 Slime tubes are factory filled with the precise amount of sealant needed to keep you rolling even on the worst road surfaces. 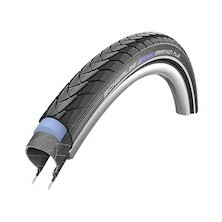 Puncture protection for up to two years. 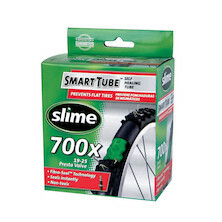 Forget about punctures with the Slime Inner Tubes! 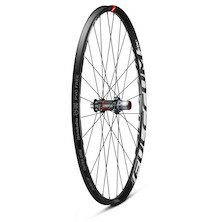 The lightweight version is still just as effective as the standard product, but will not increase the weight of your bike by that much where it matters most - around the wheels! 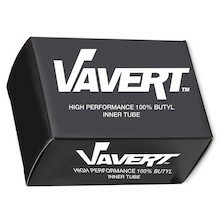 We bulk these for our own bike builds, they're just great value for money tubes, supple, light and durable. Stock up now while you can. Superb quality Fat Bike inner tubes from Vittoria, we' size. 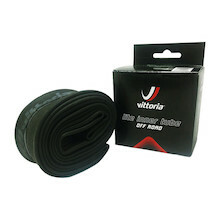 Incredible light weight road racing inner tube, built to last and to help you shed the grams from your wheels. Perfect for the hill climb season. Individually hand inspected and tested. 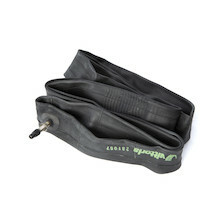 Inner tubes of all sizes to fit every bike in your quiver. Durable enough to keep you rolling, yet light enough to not feel overly cumbersome in your jersey pocket. 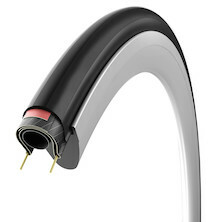 All inner tubes feature a Presta valve. 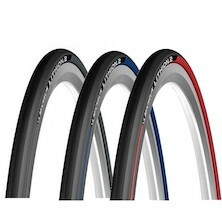 Widths: 1.75" - 1.95" and 2.125"
Good quality, incredible value. 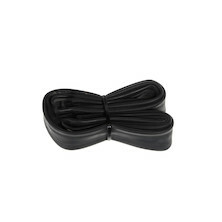 On-One inner tubes come at a price that means you'll never need to repair a puncture again.